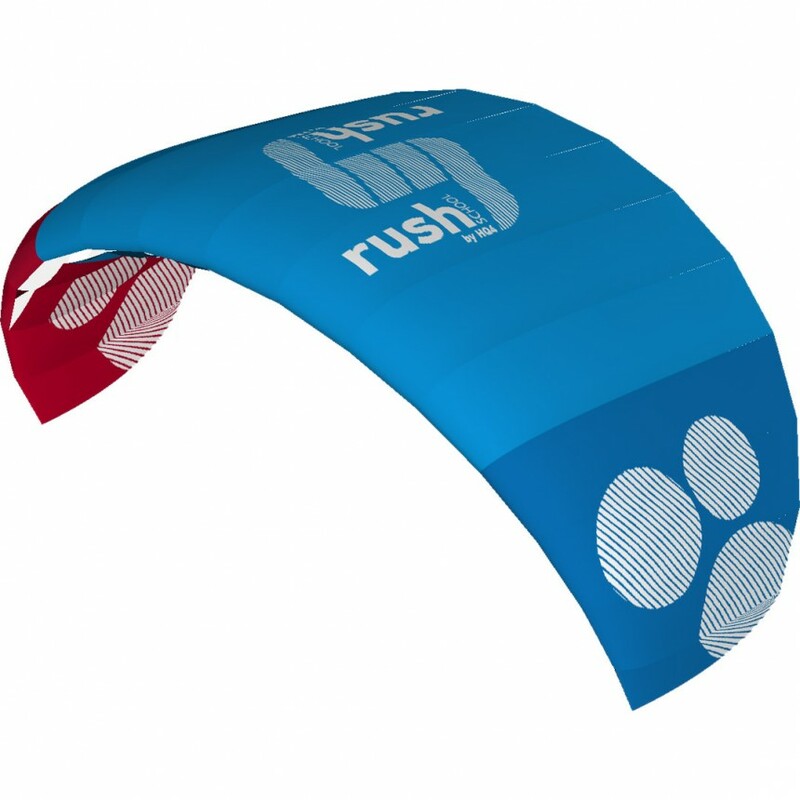 Trainer kites are an excellent way to perfect your piloting skills. Whether you fly a 2m or 24m kite the basic flying skills are the same and most people who succeed in kiting start small and work their way up! Trainers allow you to grow your piloting skills in a fun, low risk environment. Trainers are built to handle the abuse that beginners tend to inflict on them. 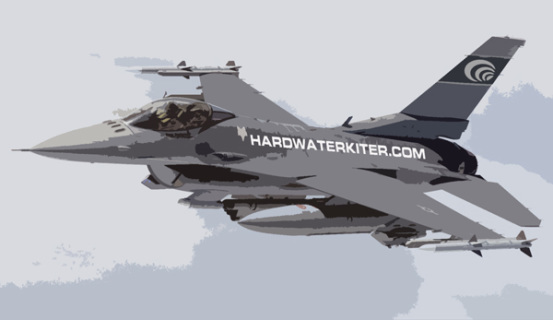 At Hardwater Kiting we recommend choosing a DEPOWER trainer over a Fixed Bridle if your budget allows. 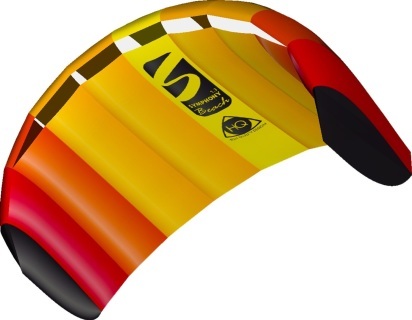 ​ They are safer, more versatile and allow for easier transition to larger depower kites. 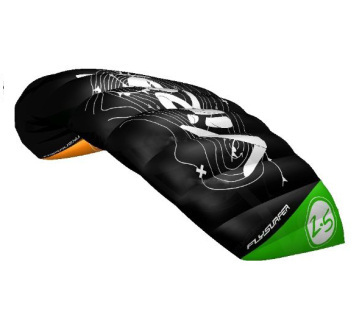 The Flysurfer Viron 2 DLX is designed with beginners taking their first steps into the sport in mind. 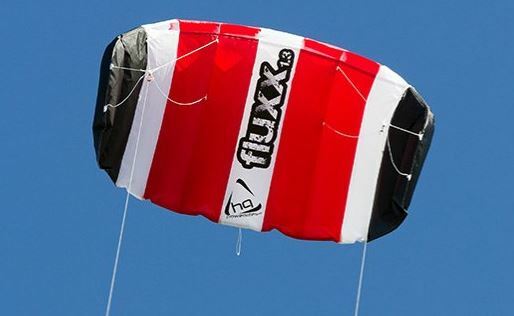 This kite is extremely simple to fly, relaunch and will recover from inversion by itself, making the learning process as simple and easy as possible. Closed cell intakes make this kite usable on land, snow and water. This is ideal for learning the basics with minimal assistance. This is a fully functional DEPOWERABLE kite. Meaning it flies and functions as any other full size depower. This allows you to practice and fully understand how to use any depower on the market and it's systems. These kites are used with a harness and can double duty as your high wind kite. They cost a bit more but are far more user friendly, versatile compare to to a fixed bridle trainer and are constructed of premium materials. The Viron DLX is the Mercedes of "trainer" kites. The Ozone UNO trainer has all the features of a full sized LEI (leading edge inflatable) but in a trainer size package. It is a fully depowerable trainer kite. This is a great option for those who want to learn more about LEI handling and want to fly on water. 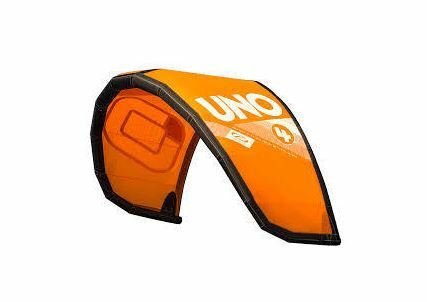 The UNO will work on any 4 line bar with a front line flag out safety. This kite is sold KITE ONLY (KO). We can supply a bar at an additional cost.